Rock plates with various crinoids exposed found in Crawfordsville, Indiana. 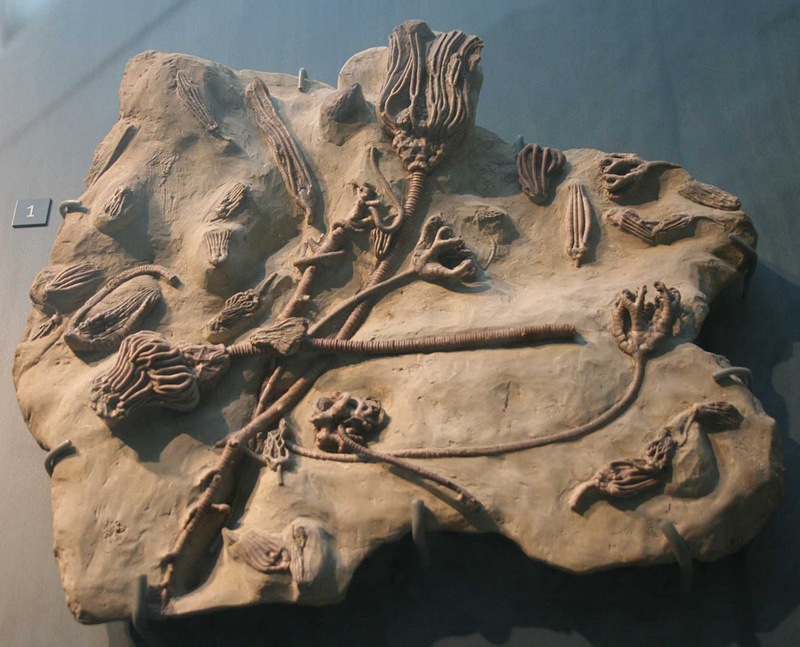 These plates are on display at the Indiana State Museum. 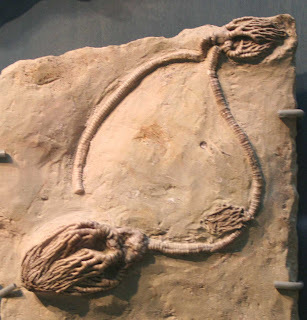 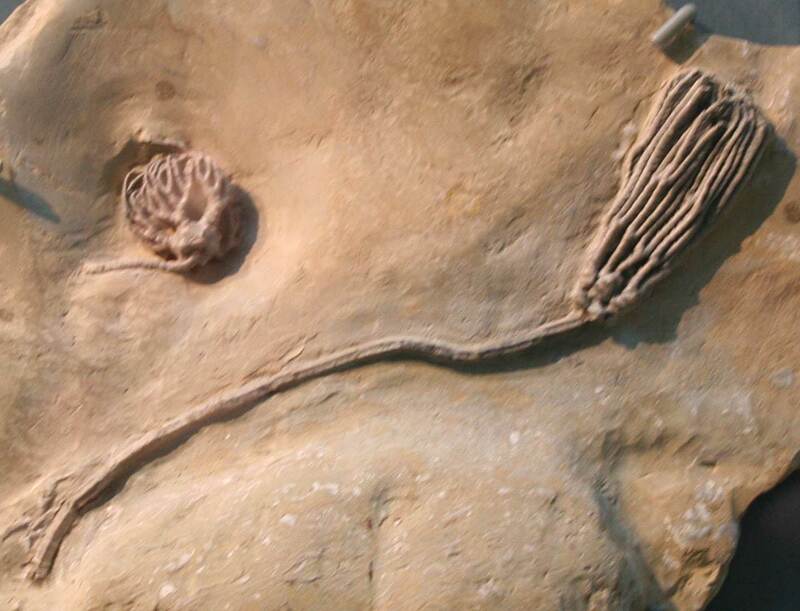 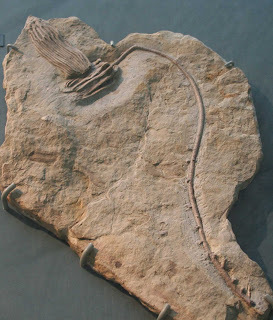 Crinoids lived 359 to 318 million years ago (Mississippian Period).